The Summerland Honors Program challenges students to engage in an exploration of critical inquiry, interdisciplinary research, and civic responsibility. We equip students with knowledge and skills necessary to become lifelong learners who embrace intellectual curiosity. Through a combination of dynamic courses, a Living & Learning community in the dorms, and a variety of special speakers and events, the Summerland Honors program brings together scholarship, service, and community. Students choose from a range of exciting course topics each semester, and Honors courses encourage discussion, curiosity, and hands-on learning. Each Summerland Honors graduate also has the opportunity to complete an independent study, artistic portfolio, or community engagement project, and members of the Summerland community develop innovative thinking and a commitment to others. -An interview with one or more members of the Summerland Honors Community.  In addition, current Newberry College students may apply for entry into the program. Additional inquiries may be addressed to the director of Summerland Honors, Dr. Amanda Hodges.